When can a food be regarded as functional? 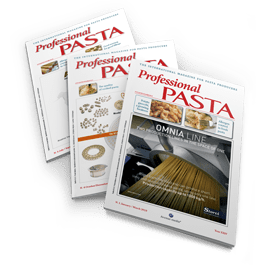 The answer to this question is contained in the editorial published in this issue of Professional Pasta. In detail, when we deal with functional pasta, I hasten to underline that “functionality” should not constrict, distort or even ignore, in any way, the overall quality of the product. My own personal axiom is the following: “Functional pasta is fine, but it must always be pasta and nothing else”. In other words: “what is good and tasty in the traditional pasta must always be part of functional pasta, even in case of unavoidable variations, mostly in the colour and taste of boiled and plain pasta. Zero tolerance and zero concession to any deficiency that would inevitably downgrade the product, thus making the approach hateful and unpleasant, to say the least. Functional pasta must be “good”, hold up to cooking, easy to eat on fork and firm to the bite; sauces and seasonings must also stick to it nicely. 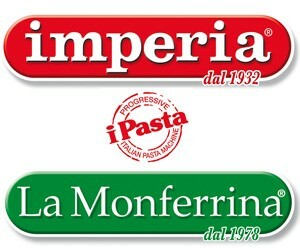 In a nutshell, functional pasta must have the same “genetic code” as the traditional Italian pasta, i.e. to be “good” in every respect, to brings honour to the “main course” of the Italian tradition. I cooked functional pasta that was actually meant for vegetarian and/or vegan diets, therefore I carefully avoided mixing ingredients of animal origin. 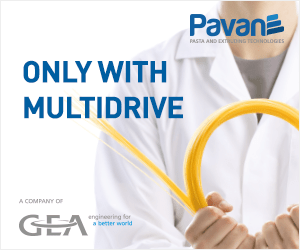 I also tried to apply the concept of “functional enrichment” to gluten-free pasta, by introducing ingredients meant to increase its nutritional value, in particular protein quantity and quality, with a special focus and attention to their amino acid profile. Obviously, vegetarians are not the only ones who can benefit from the functionality of the pasta dishes I am going to describe. I will specifically focus on oat flour pasta. DV stands for “vegetable diet” and the progressive numbers refer to formulations: this is how they have been designated and I am going to present them with these codes. I attach a list of them as an example. Table 1 sums up their characteristics and their specific functionality. DV7 and DV14 refer to two different formulations that have in common a functional characterizing ingredient, i.e. oat flour (Avena sativa) in two different amounts. For DV7, the percentage of oat flour has been cut by half and even more compared to DV14, thus changing its ratio vs. the basic essential ingredient, i.e. the durum wheat semolina. There is also a third ingredient with a more technological than nutritional function: gluten. 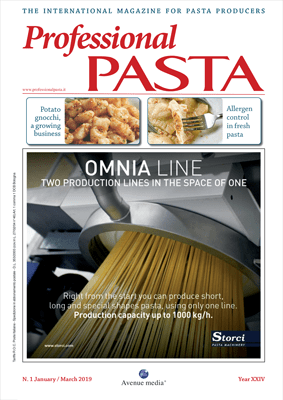 Gluten is a fundamental component for traditional pasta quality. I will linger over the characteristics of both semolina and gluten that I used in my tests since they are important, but for now, I am going to deeply analyze the characteristics and properties of the functional characterizing ingredient of these two formulations, i.e. oat. It is not so simple to sum up in a few lines the properties (and limits) of oat and – as far as the testing is concerned – the behaviour of both fresh and dried product. Its nutritional value has been know since ancient times (oat crops go back to at least 4,500 years ago), as well as its tendon and muscle strengthening property.